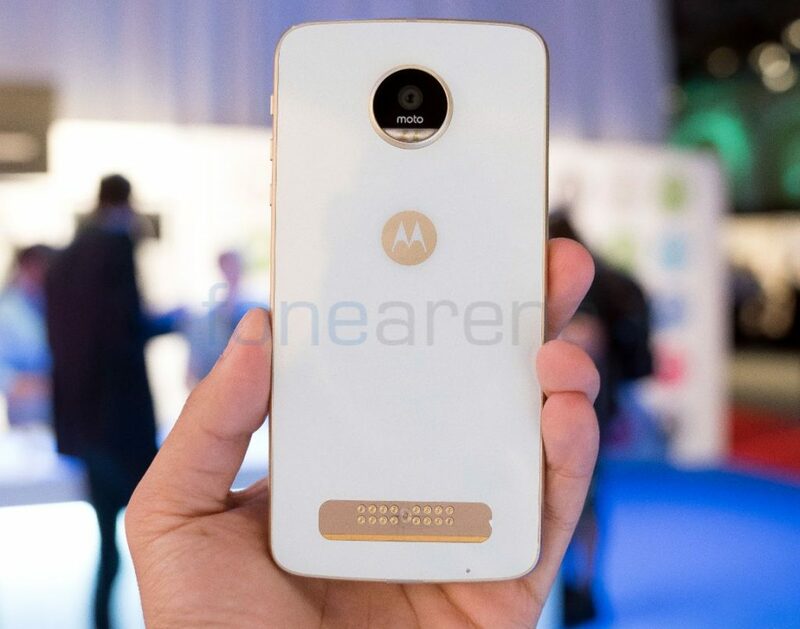 Moto Z Play, a new smartphone in the Moto Z lineup was announced earlier this week. We went hands-on with the phone at the IFA in Berlin, here is hands on video and a quick walk-through of specifications in the form on photo gallery. 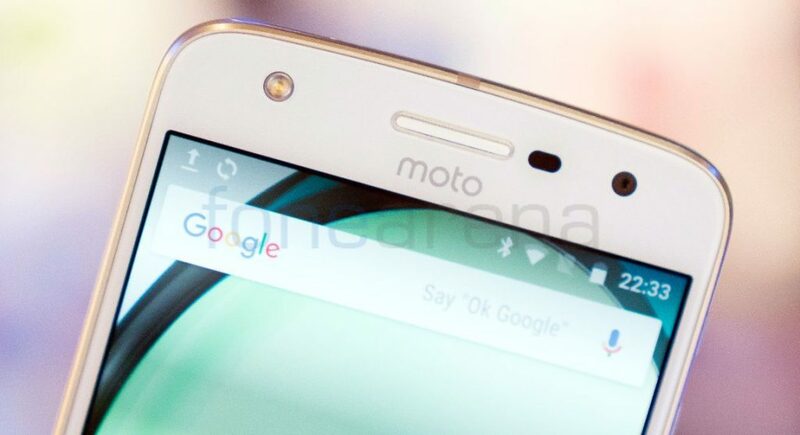 The 5.5-inch 1080p Super AMOLED display, is powered by an Octa-Core Snapdragon 625 SoC and packs 3GB of RAM. It has a 5-megapixel front-facing camera with wide-angle lens and also LED flash for capturing battery selfies in low lighting conditions. 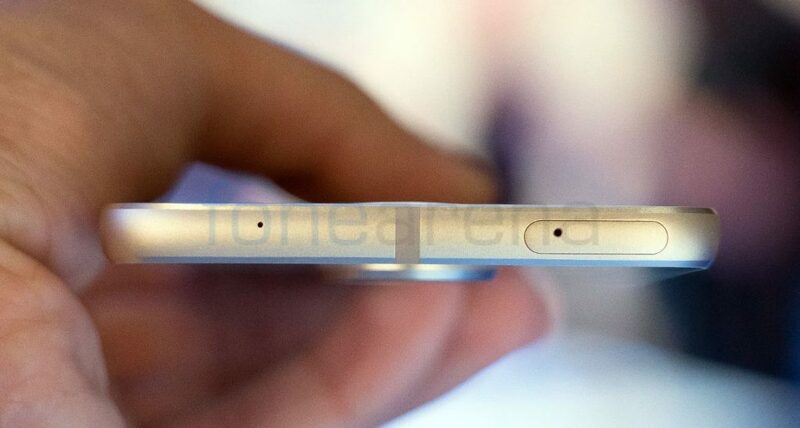 It has a fingerprint sensor below the display and there is also a microphone hole. It has a metal frame and measures 156.4 x 76.4 x 6.99mm. 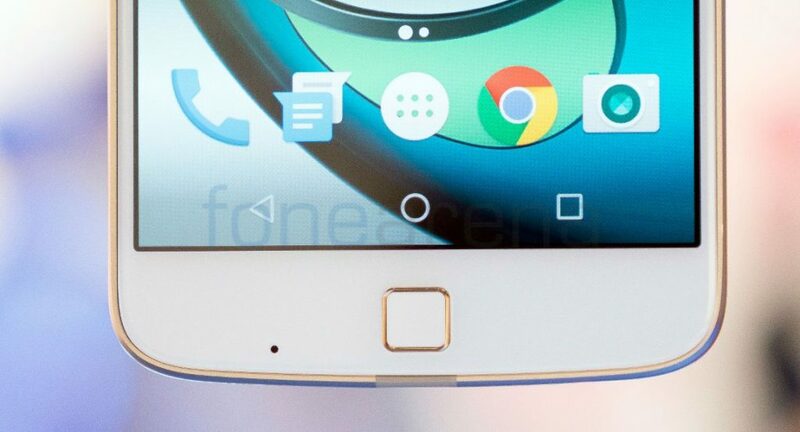 The volume rockers and the power button are present on the right side. There is nothing on the left side. 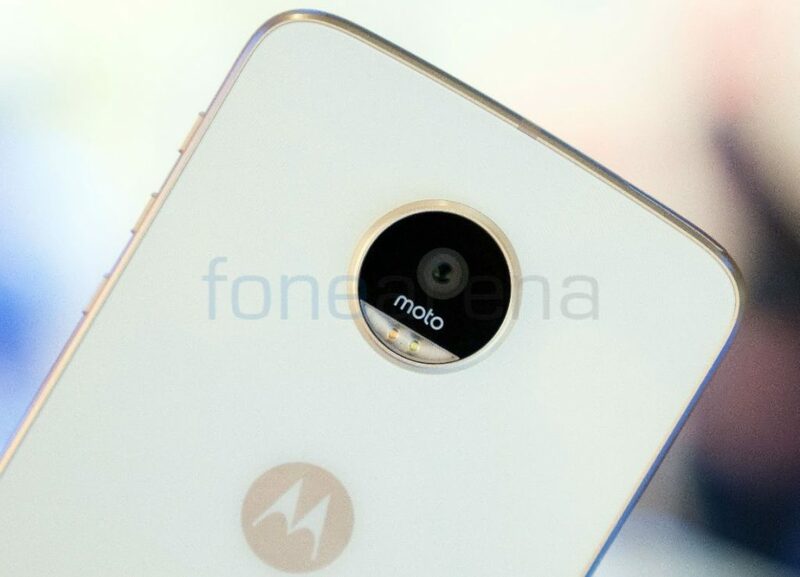 It has a USB Type-C port on the bottom and also features a 3.5mm audio jack that the Moto Z and Moto Z Force lack. 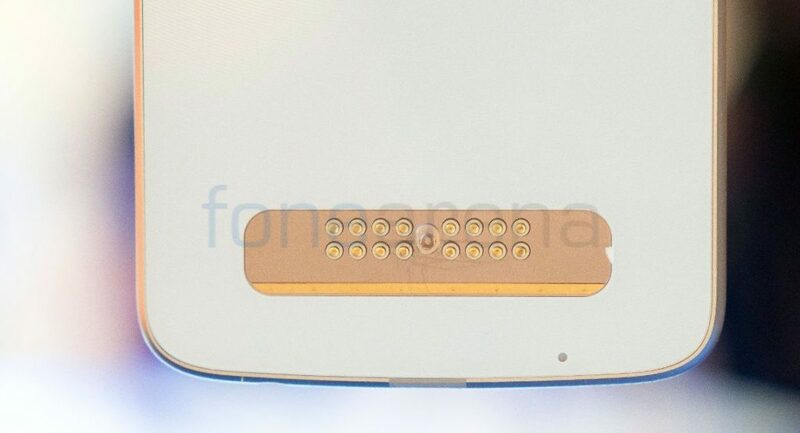 The secondary microphone is on the top along with a SIM and microSD card tray. It also comes in dual SIM variant depending on the region. On the back there is a 16-megapixel camera with dual-tone LED flash, Laser Autofocus, PDAF, 1.3um pixel and f/2.0 aperture. There is also 16-pin MotoMod connecting port. It has glass back, comes in 32GB or 64GB storage variants, has 4G LTE connectivity, dual-band WiFi 802.11 a/b/g/n, Bluetooth 4.0 LE, NFC and a 3510mAh built-in battery with Turbo charging. 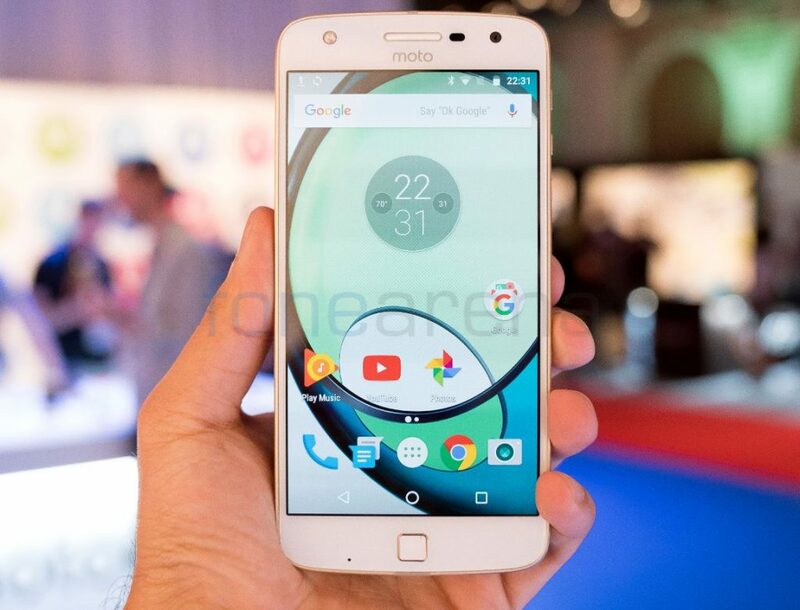 The Moto Z Play comes in Black,Silver,Black Slate, White, Fine Gold and Sugar White colors, is priced at US $449.99 (Rs. 30,123 approx.) and will roll out globally from this month.